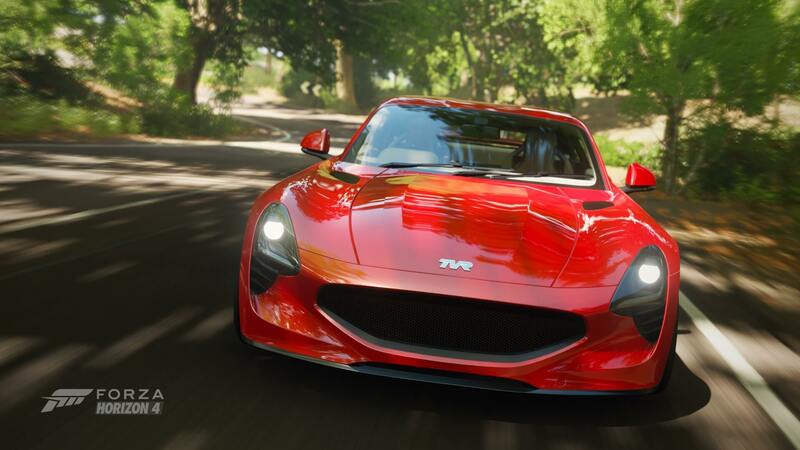 Discussion in 'Forza Horizon 4' started by GTPNewsWire, Apr 5, 2019. This article was published by Kyle Patrick (@SlipZtrEm) on April 5th, 2019 in the Forza Horizon 4 category. Honestly I do not think it is better then Red Dead Redemption 2. Its hard to say really, both are fantastic in their respective genres but they fight it out in various areas. evldave333, ferhound, FoRiZon and 4 others like this. Forza Horizon 4 is good. But better than Red Dead Redemption 2? Seriously? Get real. huiop2, SestoScudo, evldave333 and 1 other person like this. I agree, Horizon 4 is decent but to be perfectly honest it didn't hold my attention for as long as Horizon 3. There are better games and Red Dead 2 is certainly one of them. SestoScudo and evldave333 like this. Is RDR2 a good game, though? I haven't played it but I haven't heard anyone talk about how fun the gameplay is. Yes, it's incredible-looking, simulates all sorts of things, there's amazing attention to detail, has a good story with great cinematic style and so on, but what's it like to actually play? FH4 is a good game, the physics are fun, there's a lot of content, good variety and they keep it interesting (to me, anyway, as someone who owns all the cars aside from the three POs that are ultra-rare and has completed basically all of it now) by adding cars regularly and updates every month. There have been a lot of mis-steps and there are a lot of faults (many of which have been present in Forza games for years, too), but I could totally believe it's a better game, just not a better experience or overall package. That said, awards like this basically mean nothing to anyone but developers, publishers and their shareholders. Simmywheels, Imari and HarlemG27 like this. UKMikey, FT-1, Lord Protector and 1 other person like this. I've got both games and to be honest neither of them particularly excite me. This video perfectly sums up my thoughts of the game. One of the most overrated games of the gen for me. Graphics are phenomenal though, and the story is quite good too. Imari, JoshMead and queleuleu like this. LOonIE, Imari and TokoTurismo like this. It depends what you enjoy in a game I guess, it is fun to me, but so is Horizon 4. My issue with Horizon 4 is that I was far more engaged with Horizon 3. That might be because 4 is another sequel and it's all been done before and you follow much the same steps each time, as a result each sequel loses a bit of something even if it is statistically better than the last game. RDR2 is also a sequel, but the original was a long, long time ago, so there much more of a sense of rediscovery I guess which helps to make you feel less like you did all of this already last year. Either way, as you said these awards don't really mean much anyway. RDR2 is much better than FH4. Not to say that FH4 is bad. VXR, neddyie118 and FoRiZon like this. Rdr2 is impressive, but I haven't even got half way through the story. And honestly I don't have the desire to(actually getting "DayZ" today). Meanwhile FH is a console seller. Everyday I get alil drift practice in with the wheel or just cruise.. I wonder why you'd expect there to be a lot of RDR2 talk on a forum built around racing games. xlDevontelx, huiop2, SestoScudo and 7 others like this. Judging how others are saying how much better it is, you would think so. Anyway I'm not here to argue. I rather waste my time elsewhere. UKMikey and bf3 like this. RDR2 isn't really by a a british studio, is it? Rockstar San Diego is mainly responsible, with other Rockstar studios helping out. Although considering outsourcing FH4 is more vietnamese than british if we're being honest. In regards to RDR2... yes the singleplayer is awesome but the multiplayer is invested with microtransaction crap! And that is what I absolutely have become to appreciate in 2018 with Microsoft and Playground games: where other games have become more and more aggressive with their microtransactions (even after the removal of loot boxes), Microsoft/Playground does not follow the trend but make their games very gamer-friendly. Other games like Battlefield V and Anthem feel stripped of content just so the removed content can be fed into the game again under the name of live services, FH4 felt very rich with content from the get go. * On X1X giving players the choice between 4K and 60 FPS. * The Ultimate edition now includes both expansions instead of selling them separately. * Adding Forzathon Live, one of the most refreshing new aditions I have seen in a racing game recently. * 4 seasons giving the world a more dynamic feeling. * Adding character customisation with a ton of clothing items. * In ANY OTHER GAME those character customisation options would be infested with microtransactions. But in FH4 its all behind free wheelspins. * A ton more cars than in any previous FH game. * After the troubles with Mitsubishi licencing, they got added months after release for free. * Now that the car pass ran out, it seems we get new cars for no additional cost. * After the backlash of the "100%" Festival Playlist, PlayGround reacted fast and lowered requirements to acceptable levels. * Meanwhile across the big puddle of oceanic waters, FM7 has gotten a crapload of great updates the last year, something that was unseen during FM6. If you step back for a while, look left and right to other games released in 2018 and 2019, I can only say I am a happy Forza franchise gamer and my respect for all 3 parties involved (PlayGround, Turn 10 and Microsoft has increased tremendously). Having that said, my racing heart is in a happy mood over on my PS4 as well with PD releasing a new track and 7 cars almost every month. Very recently Autopolis got added to GT:Sport which completely came as a surprise out of nowhere, the track is absolutely great! And I love real world tracks like Autopolis which I have never raced before in any game previously. MrCrynox, FT-1 and TokoTurismo like this. Both suffer for feature bloat. RDR2 took a while to get under my skin, as has H4. However, I enjoy playing the single player storyline on the former, but only derive joy from doing my own thing with car building and photomode on Horizon. So for me, I'd say RDR2 is the better game (the part built by the devs) and Horizon the better sandbox, where the provided gameplay pales compared to the fun you can make for yourself. LOL, Ralph Fulton wearing a Scottish kilt! RDR2 is phenomenal. The story is phenomenal. The characters are phenomenal. The setting is phenomenal. The feeling of being in a place and time is phenomenal. There's a few soft spots, such as the janky and repetitive looting animations, and the occasional... difficulties... with getting Arthur or his horse to do what you want - but the overall game is phenomenal. I guess, Horizon got some extra points as it represents Britain so well. Both, Horizon and RDR2, are great games. Because its set in Britain. Majority of these awards are all bias and political. You guys are comparing apples to oranges, RIDICULOUS. I enjoy both games that's all I have to say. You assuming that FH4 does not have any problems at all on its own. Either way, glad God of War got the majority of awards beating RDR2 (besides said British Game Award obviously). Overall better gameplay and controls with unique one panning camera perspective. Story are head to head. Where did a say or assume that FH4 doesnt have problems? It does (mainly online issues) , but it's core gameplay is just so much better than RDR2's. Sutuki, UKMikey and TokoTurismo like this.